With our A5 Memo Bottle, you get an earth-friendly and convenient water bottle. Our Memo Bottle is ideal for travelling, at the office or couple of coupled with college books. 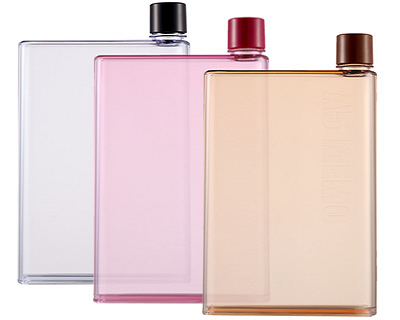 Holding 420ml, the A5 Memo Bottle is a reusable water bottle for the premium drinker.